When it comes to cardio, there are the usual suspects like jogging, cycling, and maybe even skating. But then there is an exercise that is so awesome for cardio, and people are completely ignoring it because it seems a bit too hard to get into a few times per week. I’m talking about swimming. Swimming is perhaps the best cardio exercise that you can ever do in your life. It involves muscle development and rigorous cardiovascular movement to accomplish swimming, and you ultimately end up shedding an outrageous amount of calories to do this activity. Not only that, but swimming is actually pretty fun if you’re doing it with other people. You don’t even need to exclusively just swim around in circles, because there are a plethora of activities in the pool that you can do that also accomplish the same goal: burning fat and getting into shape. Yeah, that’s correct. There were no typos in that title. 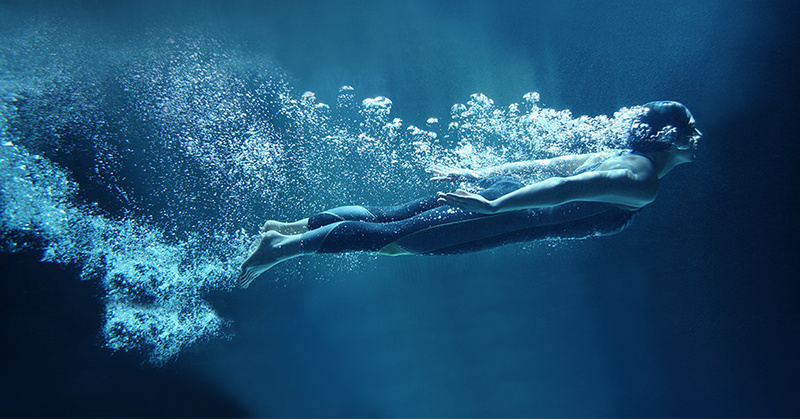 Swimming for an hour with maximum intensity can burn 1,000 calories. That’s half of your daily recommended intake of calories in just one hour GONE! See what I mean when I say it’s one of the best ways to burn calories? It’s because it is. Jogging or cycling will only burn about 600 in the same timeframe. The reason for this is because you’re using your entire body to swim, and it takes a lot of muscle power to propel your body in the water. On top of this, you’re also dealing with a high degree of resistance from the water itself. This is why it’s a challenging yet rewarding exercise if you do it all the time. At first, it will be difficult, but as you get used to it, it’ll get easier, and you’ll be able to do it for longer. Start at just 20-30 minutes of hard swimming, and then you can work your way up. If you’re looking for some help because this is a hard exercise, you’ll need a good supplement to give you a ton of energy to finish the job. This supplement is called Ultimate Man Once a Day. This multi-vitamin has so many awesome nutrients inside of it that you’ll have so much energy that you won’t even know what to do with it all. Plus, you’ll feel amazing waking up in the morning!